We have another huge winter storm on the way. Looks as if spring is going to be delayed for a while. On a brighter note, the sunrise this morning was spectacular. 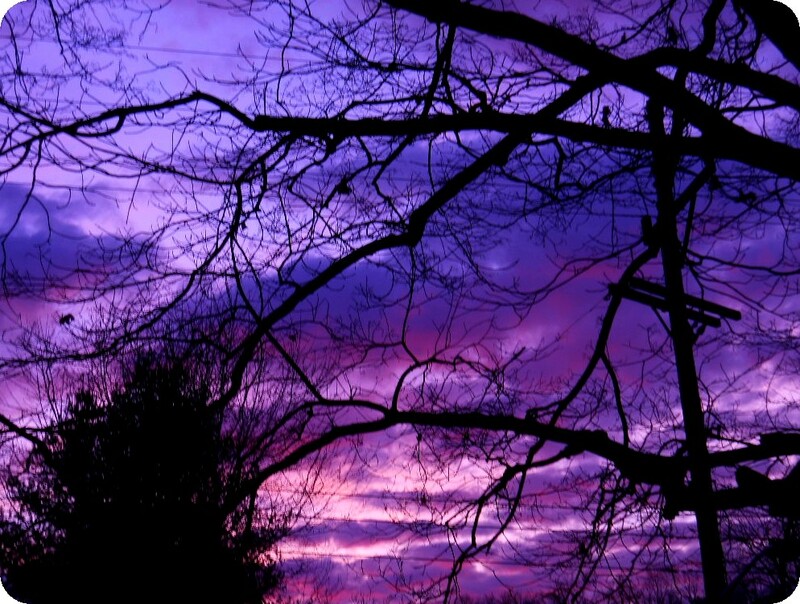 It was like a slideshow of shifting colors from peach to orange and differing shades of purple. I’ve seen shades of lavender in sunrises before, but this royal purple was new to me. It was awesome and I forgot how cold it was until I came back into the warmth and realized my hands had gone numb inside my gloves. But it was worth it. Thought I’d share a few pictures I took, although they in no way captured the true beauty of it. Categories: nature, photos | Tags: blogging, egparsons, elizabeth melton parsons, images, midwest sunrise, nature, nature photos, photos, purple sunrise, sunrise photos, winter sunrise | Permalink. those are all lovely – couldn’t choose a favourite! Those photo’s are nothing short of spectacular, great job in capturing!!! Oh Wow!!! I have never in my life seen anything like this!!! Amazing! Oh Elizabeth! I think you underestimate yourself! You definitely captured true beauty here! Especially the first two! gorgeous colors. 🙂 Well done. Stunning pictures all but my breath was taken away by the colour in the first three. Spectacular photos, I love trees as well. I am easily satisfied though. 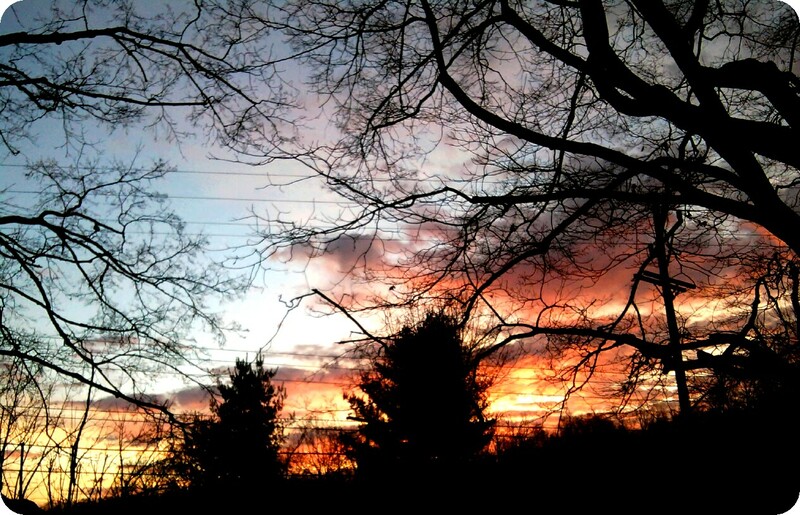 Fellow blogger Elizabeth Melton Parsons shares an interesting point in common with me and my wife: the appreciation for beautiful skies as they are affected by the weather. 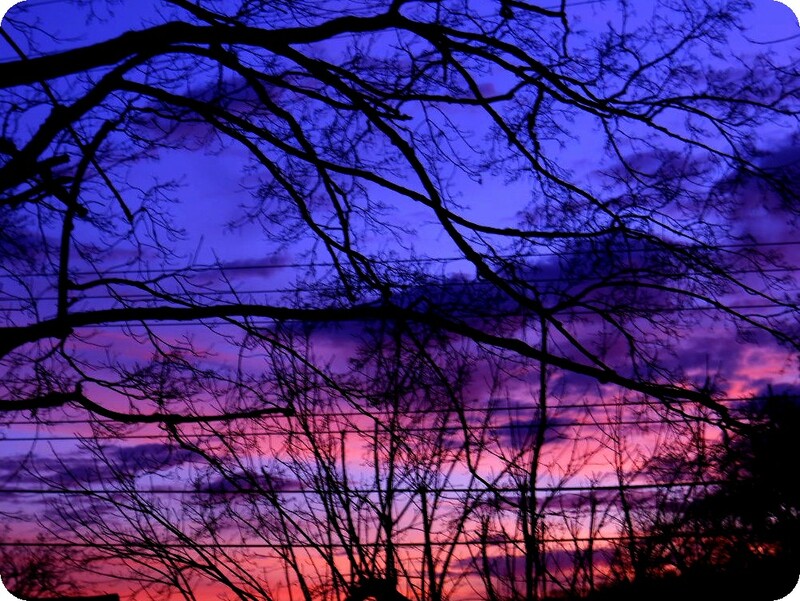 Check out these photos she took of some incredibly beautiful sunrises framed by silhouetted trees. Spectacular! These photos are really beautiful!!! your sky is amazing! Those scenes look so much like backyard views in a downtown western city as I remember them…and the colors, wow! Great capture. The early bird gets the star light. 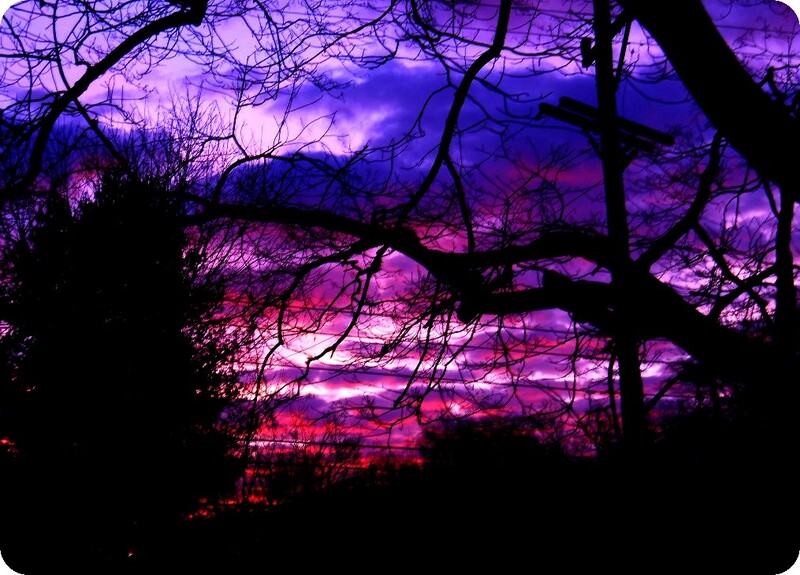 There is nothing better than to see a sunrise with purple/deep red hues… These are great photos, especially with the silhouettes of the trees. 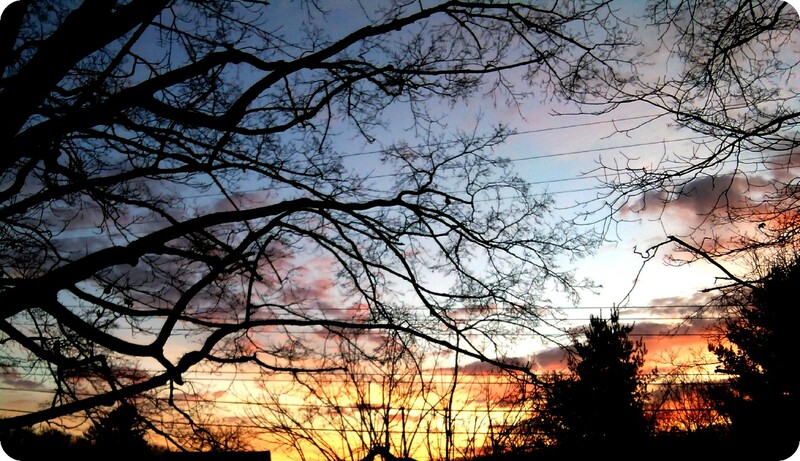 I love winter skies, I am not sure why but the colors seem more vibrant. I think some of yours look like the sky is ‘on fire!’ I am more and more noticing the clouds, sunsets and sunrises. I think while I was younger, I took them for granted. Thanks, Elizabeth for these lovely photos!